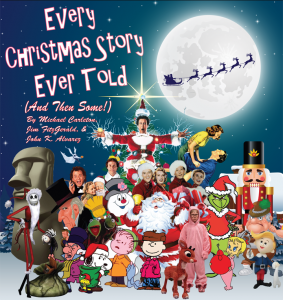 Instead of performing Charles Dickens’ beloved holiday classic for the umpteenth time, three actors debate (then agree) to perform every Christmas story ever told — plus Christmas traditions from around the world — plus seasonal icons from ancient times to topical pop-culture, AND every Christmas carol ever sung. This madcap romp through the holiday season accomplishes the small miracle of making all Christmas myths seem both utterly ridiculous and absolutely essential. Yes, Virginia, you can have your fruitcake and eat it, too. Copyright © 2016 Rochester Repertory Theatre Company and its licensors. All Rights Reserved.